Talk to your teacher, parent, or a local librarian to find out good sources of information for your topic. Go through your reference sources and take notes. Organize your notes, brainstorm, and prepare your first draft. Directions: Select one of the topics given below, do research, and write an essay. 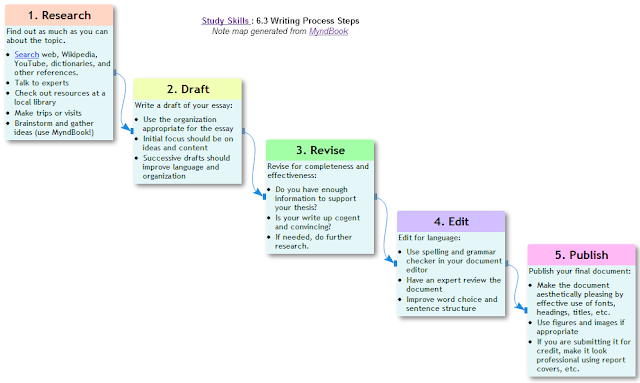 As homework, select another topic from the above list, use MyndBook (MyndBook.com/go.php?to=306_1396) to create a note map of your ideas including your research notes; and then write your essay.